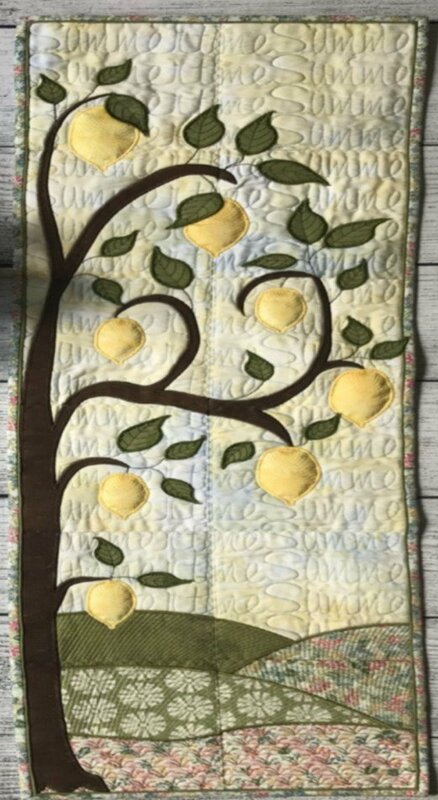 This summertime Lemon Tree wall hanging is full of 3D lemons and leaves. The tree could be made out of cork fabric for added dimension. Its finished size is 12” x 42”. This is the second wall hanging in a series of four.